Last week I wrote that John Leopold was unrepentant about his conviction for misuse of office from his time as County Executive. I noted that, in his interview with the Maryland Crabs, Leopold spoke extensively about the medical records that he says would exonerate him. These same medical records are the ones that he provided to the Maryland Crabs and posted on their page. There’s one problem with that claim. Court records from the Maryland Court of Special Appeals in their reported appellate decision, show that these records of Leopold’s were actually presented at trial and the court still found Leopold guilty of misconduct in office. 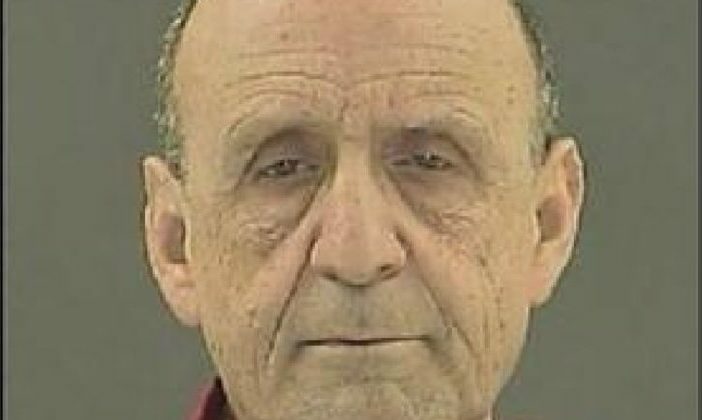 “At trial, evidence was presented that on April 22, 2010—two months after Leopold’s first surgery—a physician from Anne Arundel Urology gave Leopold a catheter plug to replace the urine collection bag. The medical report stated: [Leopold] was given a “tru-flo” catheter plug and traditional catheter plug and instructions regarding use were reviewed. [Leopold] was advised that he may use catheter plug during the day with the understanding that he must drain his bladder [every] 2 hours. [Leopold was] advised that he must connect catheter to drainage bag at night. [Leopold] verbalize[d] understanding. Leopold, however, continued to ask Medlin for assistance several months after he received the catheter plug.” Leopold v. State, 216 Md. App. 586 (2014). There it is. Right in the court record. 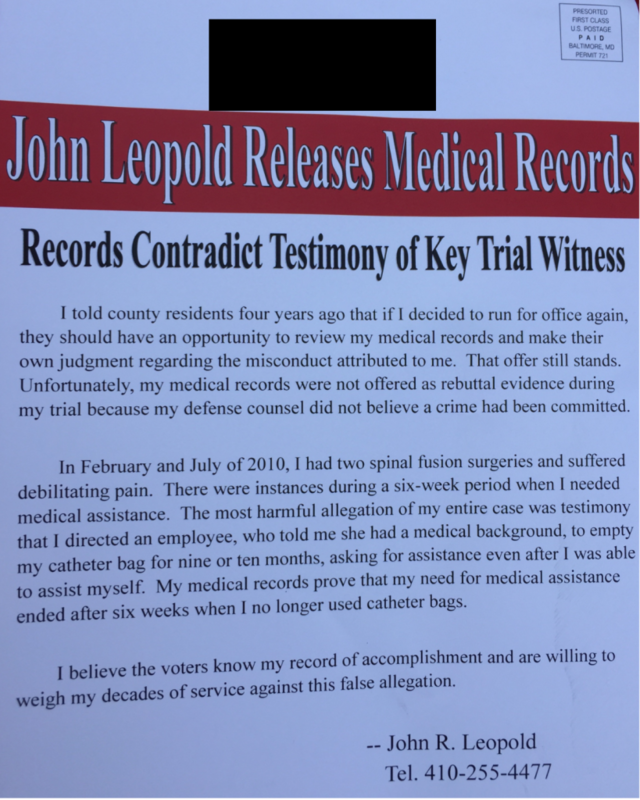 The medical records that John Leopold claims would exonerate him were actually presented at trial and, after their presentation, the court still found enough evidence to convict him of misconduct in office. The lengths that a 75-year old man who has been a politician for 50 years will go to in order to be returned to office are sad. But his dishonesty with voters should not be rewarded.